Prof dr. Alexander Dömling studied Chemistry and Biology at the Technical University Munich and performed his PhD with Ivar Ugi. As a postdoc he continued to learn with Nobel Laureate Barry Sharpless at SCRIPPS, CA. 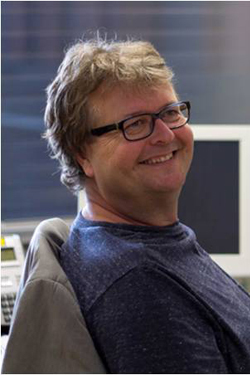 He worked as full professor at the University of Pittsburgh and recently became chair of Drug Design at the University of Groningen. As part of his interest ‘from bench to bedside’ he founded several biotech companies including Morphochem, Carmolex and Telesis. His scientific interests include multicomponent reaction and macrocycle chemistry, structure and computationally based drug design and protein-protein interactions. He is working in the fields of neuroinflammation, immune-oncology and other areas of unmet medical needs. Organic Chemistry, Drug Discovery, Structure based Drug Design, Computational Drug Design, Fragment based Drug Design. The Department of Drug Design at the University of Groningen is aiming to design and develop novel biologically active molecules for targets in therapeutic areas of unmet medical need. We are developing new “out-of-the-box” tools, such as MCR chemical scaffolds to address novel biological targets or software to facilitate design of drugs. As the main tool in chemistry we use and further develop multicomponent reaction chemistry (MCR). Our designer software ANCHOR.QUERY, for example, is helping medicinal chemists to rapidly discover novel (ant)agonists of protein interactions. We are evaluating all our targets by biophysical methods including X-ray crystallography.